Summer is almost here and with temperatures rising I am looking forward to tank tops and flip flops. In fact, a lot of the time I don’t even bother with the flip flops. I have a tendency to wander around barefoot…including in the garden which sometimes makes for a few painful moments! Because my feet get abused quite a bit, I need all the help I can get when it comes to summer foot care tips. My feet tend to have calluses and when I DO want to go show off in a pair of strappy sandals I want to make sure they are looking their best. If you need a few summer foot care tips like I do, here are few ideas to pamper your piggies! Summer foot care can make a big difference in how your feet look and feel. 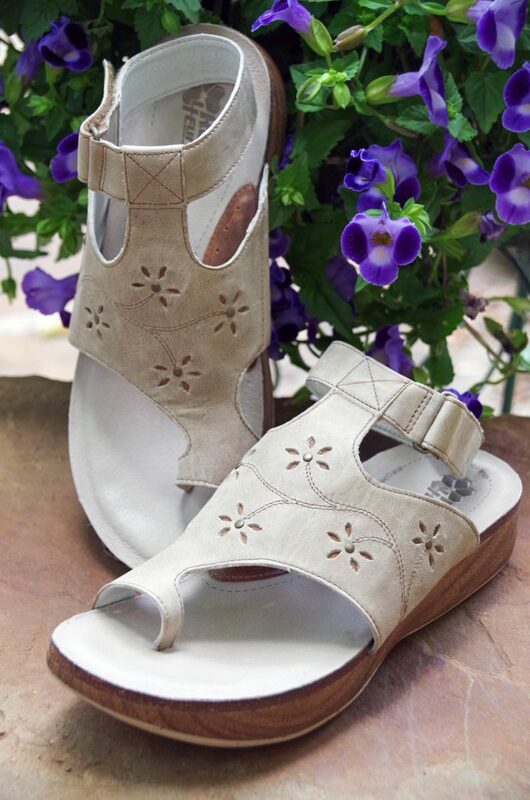 Do you want to show off your gorgeous toes in strappy sandals or hide them in your sneakers all summer? How you you care for feet in the summer? Learn how to make your feet look pretty in sandals by following a few of these tips. Trim toenails and push back cuticles with clippers and cuticle tools. Do not pick at them. All you will do is cause ragged edges and possible infection. Knowing how to make your feet soft and smooth at home with an at home pedicure will save you a ton of money on foot care. Going barefoot exposes your feet to sunburn, as well as plantar warts, athlete’s foot, ringworm, and other infections. You also increases risk of injury to your feet. Invest in a good foot lotion with refreshing essential oils like peppermint to moisturize and energize! Use your thumbs to massage from toe to heel, paying special attention to the ball of the foot and the arch. Check out the video below to learn how to do a foot massage. I got my first one last week and am truly amazed at how nice my feet look afterwards! A nice long soak with essential oils was followed with callus removal, salt scrub, massage and nail painting. I think I am going to have to add pedicures into my summer routine! Electric Callus Remover help you say good-bye to cracked heels and hello to your favorite sandals! Heated Foot Spa creates fizzy bubbles to soothe tight muscles and relax overworked feet. Nail Cuticle Pusher is ideal for keeping nails looking in great condition. Manicure Pedicure Travel Grooming Kit lets you pamper your feet even when you are away from home. Feet are sensitive to sunburn. Make sure you apply sunscreen all over your feet, especially the tops and fronts of ankles, and don’t forget to reapply after you’ve been in the water. We spend a lot of time working out the rest of our bodies, why not our feet? Try picking up and holding a sock with your toes to help build strong feet! Drink plenty of water throughout the day. Drinking water will not only help with overall health, but will also minimize any foot swelling caused by the heat. Wash your feet with soap and water twice a day. You can dust with powder to help things stay fresh smelling and dry. Check out these sneaker sachets for easy odor control in your shoes. Every shoe fits our feet a little bit differently. Spending time in the same shoe all day every day could cause foot problems if they don’t fit quite right. Try switching shoes and even going barefoot to help alternate the pressure to different parts of the foot. Summer usually involves the great outdoors. Make sure you choose the right shoe for each summer activity. 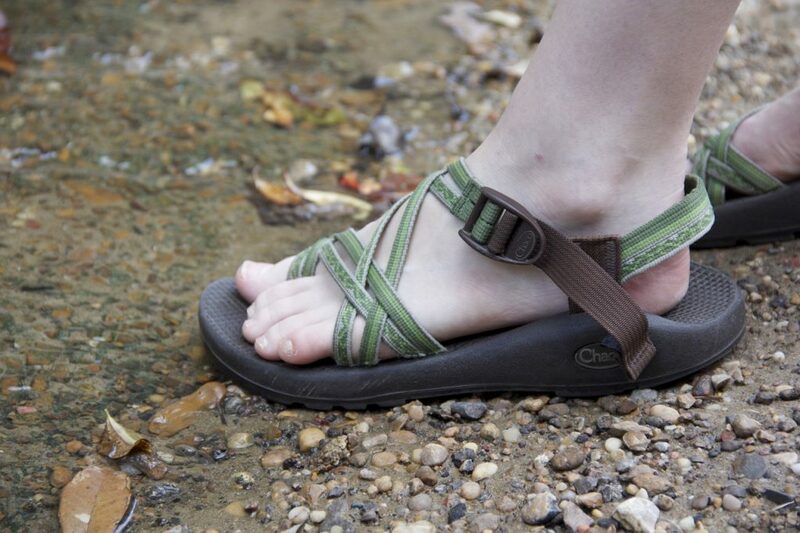 Hiking boots for summer hiking, and paddle boarding requires a sturdy water shoe. Don’t risk injury by wearing flip flops if you need a sturdier shoe. The proper summer foot care will ensure that your feet not only look pretty but are also healthy and ready to tackle the next adventure. Start planning now so your feet will carry you through a busy summer full of fun! 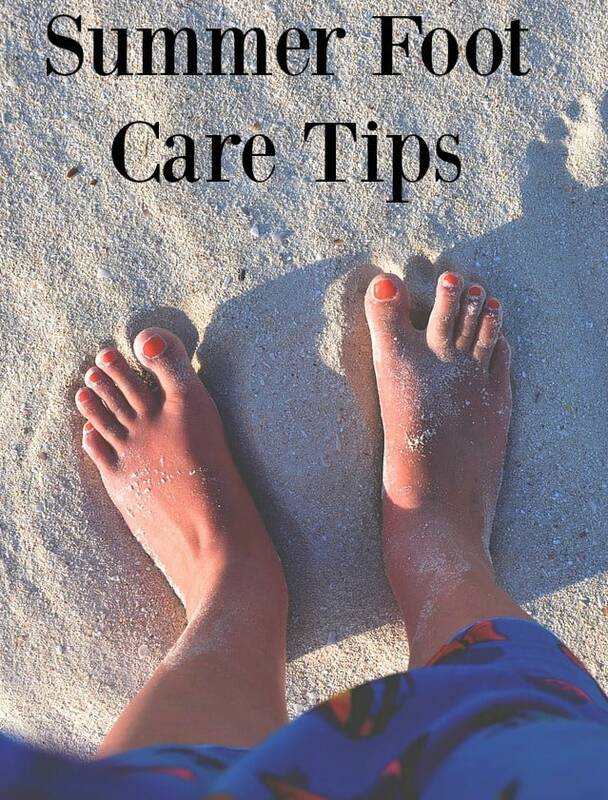 Do you have any other summer foot care tips to share? Check out my post on how to pick the best summer sandals! Ahhh, I LOVE foot massages and pedicures. Now I want one. Great tip about switching up the shoes... I never thought about that, but it makes sense!